With the season starting before the transfer window closes, West Ham have a few extra weeks to get their squad in order. It seems an oddity to me that the transfer window stays open for a further two weeks after the season has started. It would be far tidier if they slammed it shut on the eve of the new season so that all of our predictions could be based on the precise knowledge of which players are in each particular team’s squad. A last minute sensational rabbit out of the hat signing or a bewildering ‘too good an offer to refuse’ departure could well define the season for some clubs, including our own. The Homegrown rule is an odd one as for a player to be qualify he must, regardless of nationality have been registered with any club affiliated to the Football Association or the Welsh FA for a period of three seasons or 36 months prior to his 21st birthday. According to my interpretation of the rule the above squad (which, by the way, only includes twenty four players) has just seven that qualify as homegrown. More interestingly, many supporters preferred starting eleven would probably include just one or two homegrown players. We can reasonably expect there to be changes to the squad before the end of the month with the potential (fingers crossed) departures of Feghouli and Snodgrass, leaving a few extra places available in a squad that remains thin in all key areas; striker, central midfield and centre back. There have been a few potential recruits linked (Gray, Wilshire) that would qualify as homegrown but the majority of the names mentioned continue to be johnny foreigners. Any shortfall would need to be made up by including at least one qualifying academy player in the named squad, even though technically any number of players under twenty one can be included in the squad without actually being part of the named twenty five. The signing of Sead Hakšabanović was a surprise addition to the ranks this week and has all the hallmarks of a Tony Henry signing. Hakšabanović has only recently turned eighteen but has almost fifty appearances under his belt in the top tier of the Swedish league, as well as being a full international for Montenegro. An attacking midfielder he could, in theory, provide backup to Manuel Lanzini but time will tell whether his youth will once again prove a barrier to selection by manager Slaven Bilic. Just a few days to go before the 26th Premier League season gets underway. For the first time there will be three south coast clubs in the competition (it is probably the first time ever in the top flight). There will be five London clubs, three from the Midlands, five from the North West, one each from Wales and the North East plus two others (Watford and Huddersfield). In total only nine of the twenty teams are from north of Watford (Professor Google assures me that Swansea is slightly south of Watford) and so the need to travel well to cold and desolate northern wastelands is not as acute as it has been in previous seasons. For amusement only, here is a selection of cumulative all-time statistics from West Ham’s previous twenty one seasons in the Premier League. 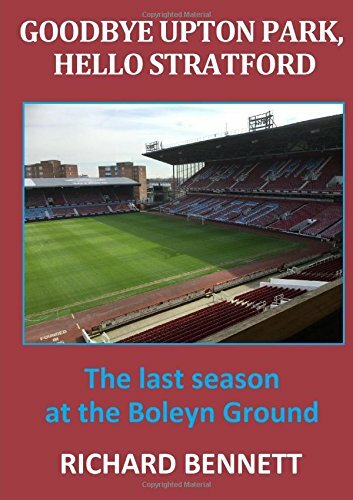 Next Next post: Can The Hammers Enjoy a Season in the Sun?